Our Most Fast and Furious #GIANTtalk Yet! 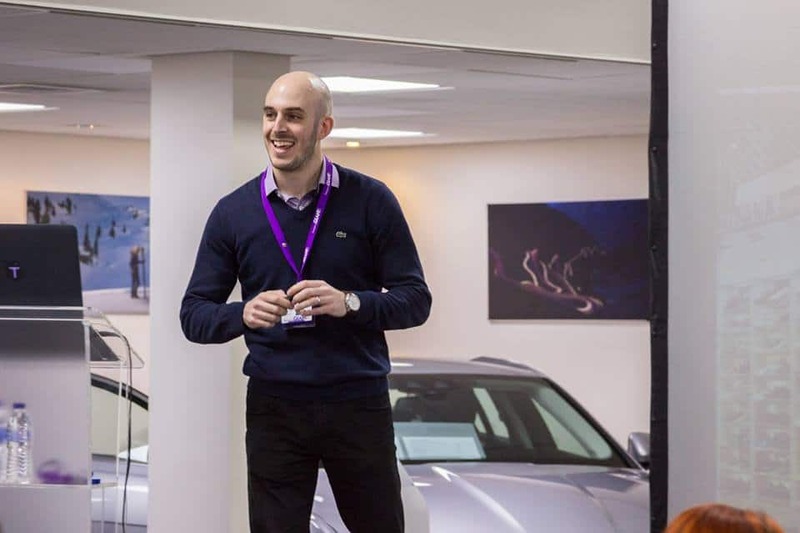 This month’s GIANT Talk was fast and furious that’s right, we brought our lucky delegates digital marketing up to speed at none other than the dazzling Barretts Jaguar Canterbury showroom! First up to the stage was Dan Knowlton from KPS Digital Marketing. 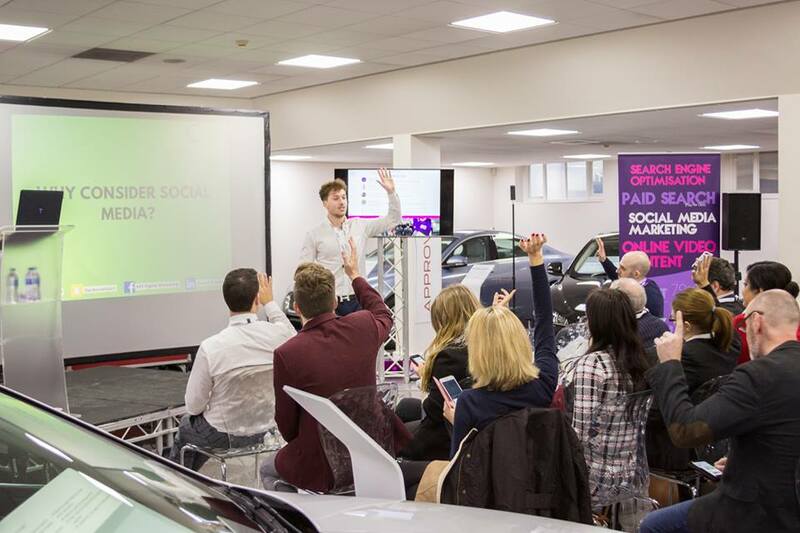 Dan gave 5 very insightful steps to get you on your way to social media success. Following Dan was Luke Frake from Space Between, who discussed website speed and how you can drive down your site speed. 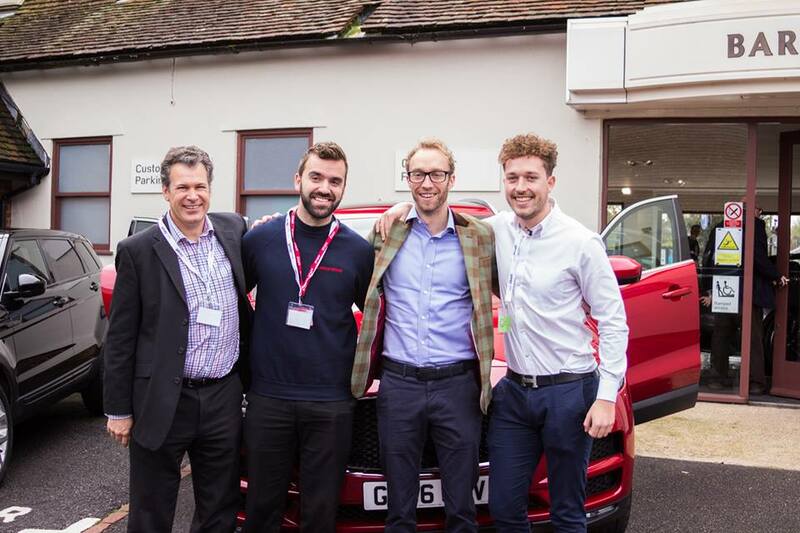 But next saw something that revved up the day Luke, Dan and the lucky Adam Hall from Kent Fire & Rescue and John Austin-Brooks from Outset UK took to a Jaguar F Pace for the ultimate carpool karaoke! 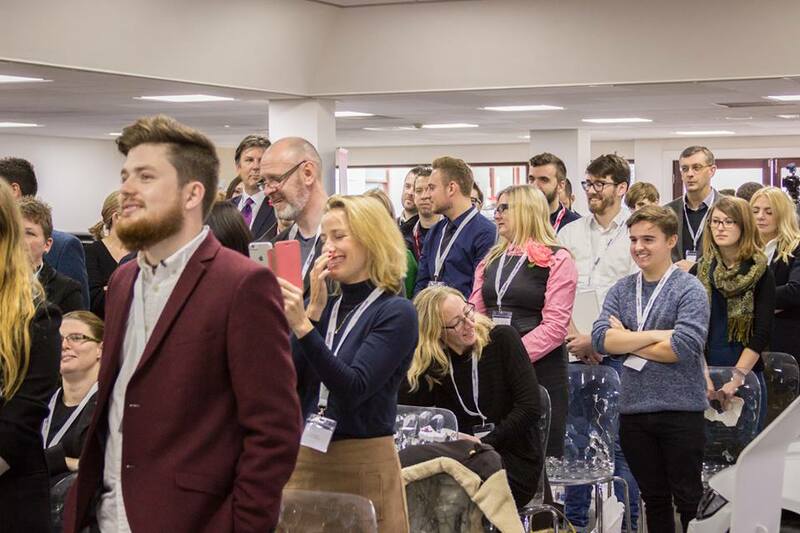 With the sounds of Queen and Bon Jovi ringing in their ears, they soon returned to see Ant, our Managing Director, do a talk on digital marketing at speed. The need for speed continued well on into the afternoon… After devouring a yummy Subway lunch, there was some really great networking to conclude the day. We want to say a big thank you to all of you who came, and it was great to meet you. We’d also like to say thank you to Bang & Olufsen Canterbury for providing fantastic music throughout the event, as well as Kent Crisps for bringing their brilliant tasting table full of yummy treats. Want to come to our next GIANT Talk at the renowned Foyles Bookshop in Charing Cross, London? Click here to register your interest by entering your information in the form on the right hand side.